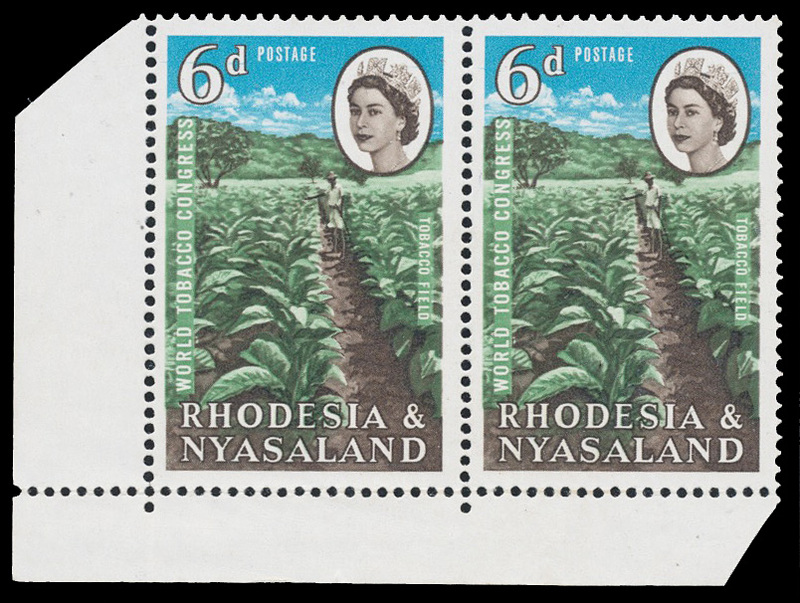 1963 Tobacco 6d, showing ‘torn trouser’ flaw (constant, row 10/1), in positional lower right corner pair. Superb unmounted. SG 44 and var.